Bet Blue Jackets +1.5 goals over Rangers at +125 with Karamba. Bet Avalanche over Sharks at +135 with 888Sport. Bet Lightning over Bruins at -107 with 888Sport. This is it, the final weekend of the NHL regular season. All 82 games for every team will have been completed by late Saturday night, and playoff positioning remains fierce among some teams. Some teams will have absolutely nothing to play for, so that could factor into some of the predictions here for NHL betting fans in the swan song for this season’s Five Best Bets. The Stars are back in the playoffs for the first time since 2016, a team that most didn’t expect to make it this far. That’s a big tribute to first-year coach Jim Montgomery, who made Dallas into a better defensive team, a team that can win the low-scoring, close games better than before. I expect they’ll sit out some regulars in this game, coming on the road in the first of a back-to-back situation. The Blackhawks failed again to make the postseason, although they gave it a pretty good push in the second half. The Hawks should get a pretty good draft pick this summer, and they are expected to spend heavily in free agency. I think they’ll want to go out a winner in their home finale and take advantage of a Stars group that is only thinking about one thing right now: Game 1 of the first round next week. Go to Karamba and take the Blackhawks at -114. Too bad the Detroit Red Wings didn’t have another month or so on the schedule. They really played some good hockey in the final third of the year, enough so for Wings management to give coach Jeff Blashill a two-year contract extension. Players such as Tyler Bertuzzi and Dylan Larkin give Wings fans reason for hope, and Detroit also should get a very good draft pick in the first round. Saturday, they’ll play a Buffalo Sabres team that has been just awful in the second half, really since November. Speculation will abound whether coach Phil Housley sticks around or not. I’m surprised the odds aren’t a bit worse for the Wings in this one. I expect them to win pretty easily. Go to 888Sport and take them at -129. The two heavyweights of the Atlantic Division meet one final time, for the regular season at least. These two could meet again soon in the playoffs. The Lightning led wire-to-wire this year, just a tremendous season, and they go into the postseason as presumptive favorites to win their second Cup in franchise history. 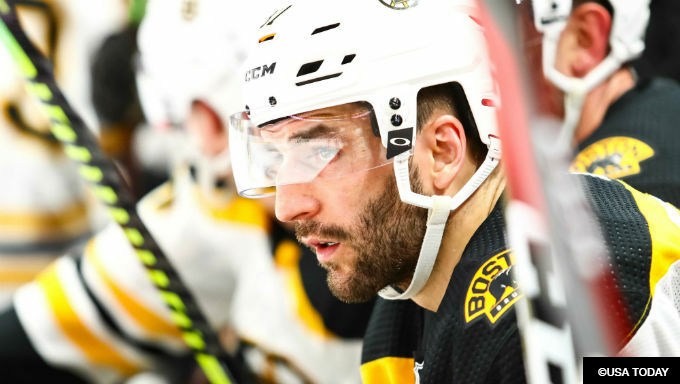 The Bruins have been a bit up-and-down of late, but this was still a 100-plus point team that has plenty of proven winners in the lineup, led by Patrice Bergeron. I think the Lightning will want to go into the playoffs feeling real good about themselves, and a win in Boston would do it. Strangely, the Bruins are favored in this one (-113 to the Lightning’s -107, at 888Sport). I say go there and take the underdog here to win on the moneyline. No, they won’t go all out to win this one probably, but pride always takes over in the end. The Colorado Avalanche looked done like dinner just three weeks ago. They fell to as low as 11th in the West, before beginning an improbable comeback that got them back into the playoffs for the second straight year. Goalie Philipp Grubauer has become the favored son of Denver, as he was brilliant down the stretch and stole the No. 1 job that had long belonged to Semyon Varlamov. The Avs clinched a playoff spot with a comeback win over Winnipeg Thursday night - the third straight game they overcame a 2-0 deficit to win. Depending how the Dallas Stars do in their final two games, the Avs could still get the first wild-card spot with a win over the Sharks in what should be the final game going on the final day of the season. I think the Avs will find a way to win this one too, as San Jose has seemed disorganized for a while now. Go to 888Sport and take the Avs at +135. There sure were some anxious moments for the Blue Jackets down the stretch, and as of Thursday night they still hadn’t clinched a playoff spot. But a win Friday night at Madison Square Garden would do that, and I think they’ll not only win, but win on the puck line. This team has so much offensive talent, and it seems like a bust-out game before the playoffs would be perfect for morale after a tough fight getting here. The Rangers just want this season over, while Columbus knows it has to take care of business still. Plus, John Tortorella always likes to beat the Rangers, his former team. Go to Karamba and take Columbus at +125 on the puck line of 1.5 goals.